Cassini data now reveal that some of Titan’s lakes are surprisingly deep. Infrared view of seas and lakes in Titan’s northern hemisphere, taken by Cassini in 2014. 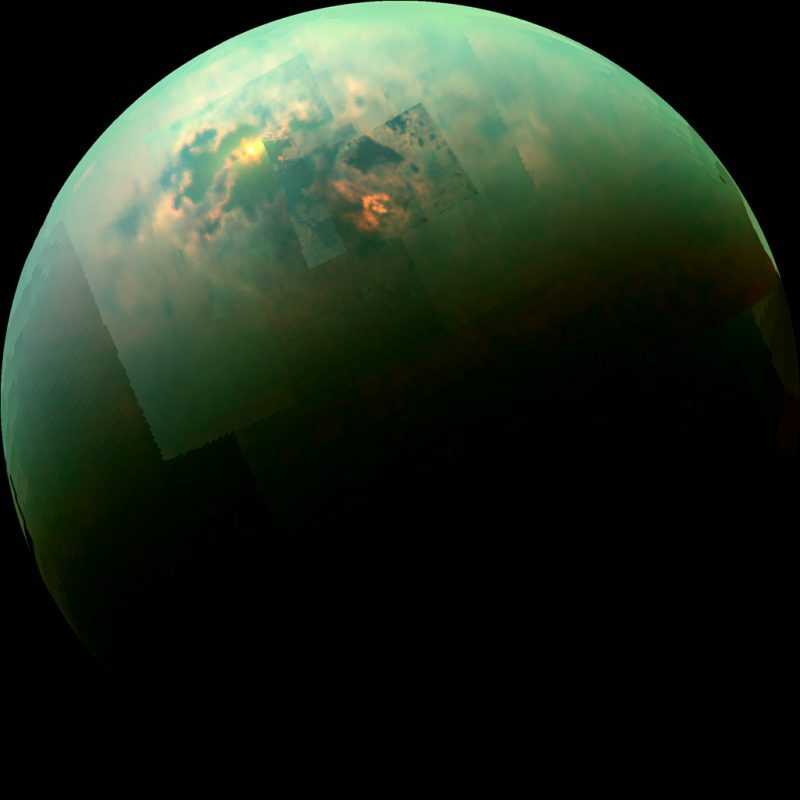 Sunlight can be seen glinting off the southern part of Titan’s largest sea, Kraken Mare. Image via NASA/JPL-Caltech/University of Arizona/University of Idaho. 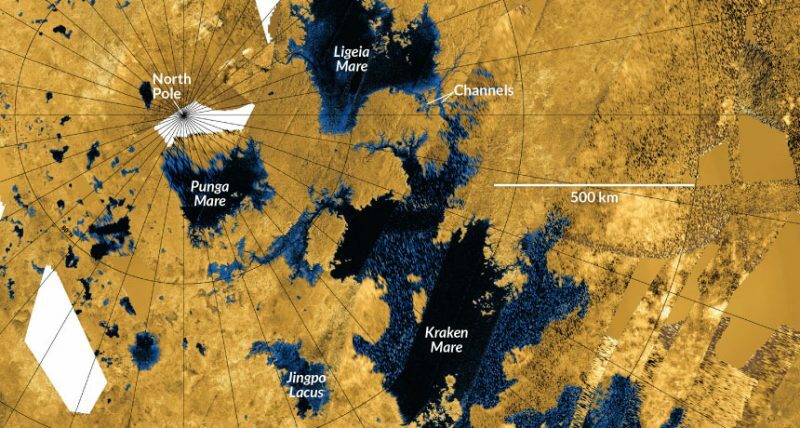 Kraken Mare, Titan’s largest sea, is the body in black and blue that sprawls from just below and to the right of the north pole down to the bottom. Saturn’s largest moon Titan is the only world in our solar system besides Earth known to have bodies of liquid on its surface. Scientists announced definitive evidence for them in 2007, based on data from NASA’s Cassini spacecraft. The large ones are known as maria (seas) and the small ones as lacus (lakes). It’s now known that Titan’s hydrologic cycle is surprisingly similar to Earth’s, with one big exception: the liquid on Titan is liquid methane/ethane instead of water, due to the extreme cold. The moon’s northern hemisphere, in particular, has dozens of smaller lakes near its pole, and now scientists have found that they are surprisingly deep and sit on the tops of hills and mesas. These observations come from data collected during the last close flyby of Titan during the Cassini mission, which ended in 2017. 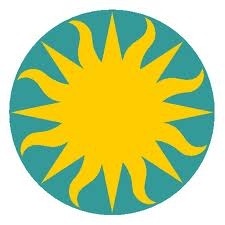 The new peer-reviewed findings were published on April 15, 2019, in the journal Nature Astronomy. Scientists had thought that the lakes would be an almost equal mixture of methane and ethane, like the larger seas. This is the case with the one sizable lake in the southern hemisphere called Ontario Lacus. This RADAR-image of Ontario Lacus, the largest lake on the southern hemisphere of Saturn’s moon Titan, was obtained by NASA’s Cassini spacecraft on Jan. 12, 2010. North is up in this image. Map of Titan’s seas and lakes in the northern hemisphere. Image via JPL-Caltech/NASA/ASI/USGS. The findings show how Titan’s alien yet earthly-ish landscape is even more unusual than first thought. They show very deep lakes sitting atop tall mesas or plateaus, suggesting that they formed when the surrounding bedrock of ice and solid organics chemically dissolved and collapsed. These Titan lakes are reminiscent of karst lakes on Earth, which form when subterranean caves collapse. In the earthly counterparts, however, water dissolves limestone, gypsum or dolomite rock. This is a great example of how – much like the hydrologic cycle – geologic processes on Titan can also mimic those on Earth, yet be uniquely Titanian at the same time. In many ways, Titan looks a lot like Earth, but the underlying mechanisms, and composition of materials, are fundamentally different on this world in the much-colder outer solar system. Images from Cassini showing new small lakes appearing in Arrakis Planitia between 2004 and 2005. Such lakes seem to be transient, where the liquids fill the lakes before evaporating or seeping into the ground again. 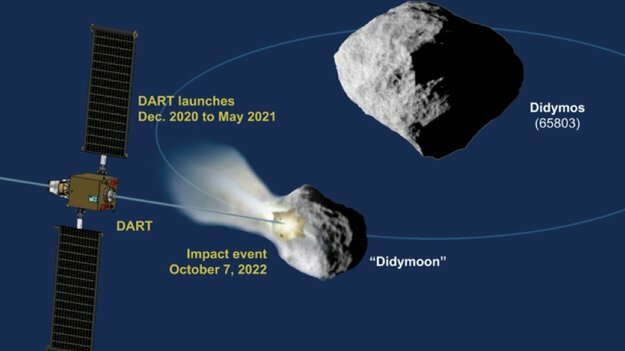 Image via NASA/JPL/Space Science Institute. Taken together, the results about both the deep lakes and transient lakes support the scenario where methane/ethane rain feeds the lakes, which then evaporate back into the atmosphere or drain into the subsurface, leaving reservoirs of liquid below the surface. It is a complete hydrologic cycle, but, in the colder environment than on Earth, one where methane and ethane can be liquid and water is in the form of rock-hard ice. The presence of lakes and seas on Titan brings up another question. Might there possibly be any form of life there? Some scientists think there indeed could be at least microscopic organisms, despite the harsh conditions in contrast to Earth, that use liquid methane/ethane in a similar way that life here uses water. Such life would have to be evolved to exist in conditions unlike any on Earth, but it’s an intriguing possibility. Bottom line: Data on Titan’s lakes, collected by the Cassini spacecraft (whose mission ended in 2017), continue to reveal insights into a hydrologic cycle that’s remarkably similar to Earth’s in some ways – but distinctly alien in others. A new finding is that lakes near Titan’s north pole are surprisingly deep and sit on the tops of hills and mesas. The Cassini-Huygens mission was a cooperative project of NASA, the European Space Agency and the Italian Space Agency. JPL, a division of the California Institute of Technology, Pasadena, managed the mission for NASA’s Science Mission Directorate in Washington. The VIMS team is based at the University of Arizona in Tucson. The radar instrument was built by JPL and the Italian Space Agency, working with team members from the US and several European countries. Cassini launched in October 1997 with the European Space Agency’s Huygens probe. The probe was equipped with six instruments to study Titan, Saturn’s largest moon. It landed on Titan’s surface on Jan. 14, 2005, and returned spectacular results. Meanwhile, Cassini’s 12 instruments returned a daily stream of data from Saturn’s system since arriving at Saturn in 2004. Among the most important targets of the mission are the moons Titan and Enceladus, as well as some of Saturn’s other icy moons. Towards the end of the mission, Cassini made closer studies of the planet and its rings. Cassini completed its initial four-year mission to explore the Saturn System in June 2008 and the first extended mission, called the Cassini Equinox Mission, in September 2010. Since then the healthy spacecraft was seeking to make exciting new discoveries in a second extended mission called the Cassini Solstice Mission. 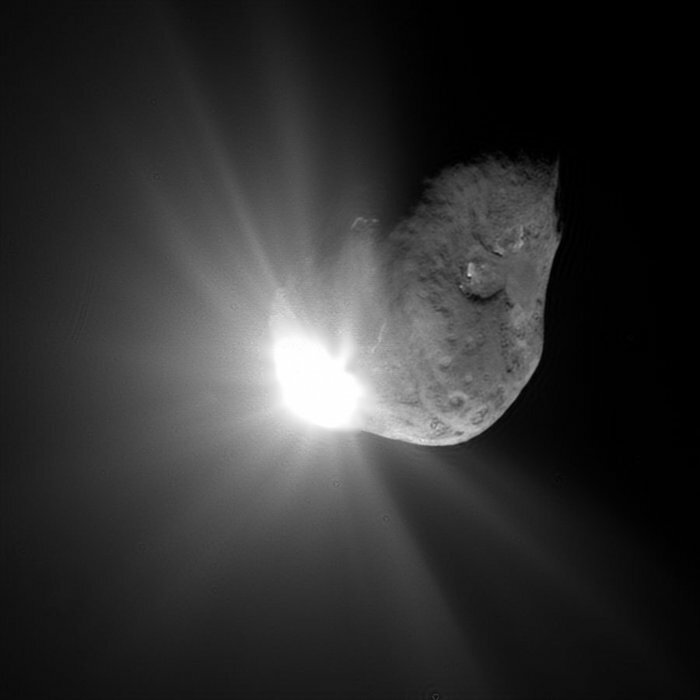 The mission’s extension, which goes through September 2017, is named for the Saturnian summer solstice occurring in May 2017. The northern summer solstice marks the beginning of summer in the northern hemisphere and winter in the southern hemisphere. Since Cassini arrived at Saturn just after the planet’s northern winter solstice, the extension will allow for the first study of a complete seasonal period. The mission ended on September 15, 2017, when Cassini’s trajectory took it into Saturn’s upper atmosphere and it burned up. What determines if an idea is legitimately scientific or not? This question has been debated by philosophers and historians of science, working scientists, and lawyers in courts of law. That’s because it’s not merely an abstract notion: What makes something scientific or not determines if it should be taught in classrooms or supported by government grant money. The answer is relatively straightforward in many cases: Despite conspiracy theories to the contrary, the Earth is not flat. Literally all evidence is in favor of a round and rotating Earth, so statements based on a flat-Earth hypothesis are not scientific. Popper wrote in his classic book The Logic of Scientific Discovery that a theory that cannot be proven false—that is, a theory flexible enough to encompass every possible experimental outcome—is scientifically useless. He wrote that a scientific idea must contain the key to its own downfall: It must make predictions that can be tested and, if those predictions are proven false, the theory must be jettisoned. When writing this, Popper was less concerned with physics than he was with theories like Freudian psychology and Stalinist history. These, he argued, were not falsifiable because they were vague or flexible enough to incorporate all the available evidence and therefore immune to testing. But where does this falsifiability requirement leave certain areas of theoretical physics? String theory, for example, involves physics on extremely small length scales unreachable by any foreseeable experiment. Cosmic inflation, a theory that explains much about the properties of the observable universe, may itself be untestable through direct observations. Some critics believe these theories are unfalsifiable and, for that reason, are of dubious scientific value. 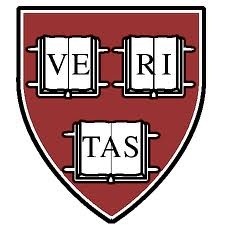 At the same time, many physicists align with philosophers of science who identified flaws in Popper’s model, saying falsification is most useful in identifying blatant pseudoscience (the flat-Earth hypothesis, again) but relatively unimportant for judging theories growing out of established paradigms in science. Prescod-Weinstein is both a particle cosmologist and researcher in science, technology, and society studies, interested in analyzing the priorities scientists have as a group. “Any particular generation deciding that they’ve worked out all that can be worked out seems like the height of arrogance to me,” she says. Take, for example, supersymmetry. SUSY is an extension of the Standard Model in which each known particle is paired with a supersymmetric partner. The theory is a natural outgrowth of a mathematical symmetry of spacetime, in ways similar to the Standard Model itself. It’s well established within particle physics, even though supersymmetric particles, if they exist, may be out of scientists’ experimental reach. SUSY could potentially resolve some major mysteries in modern physics. For one, all of those supersymmetric particles could be the reason the mass of the Higgs boson is smaller than quantum mechanics says it should be. “Quantum mechanics says that [the Higgs boson] mass should blow up to the largest mass scale possible,” says Howard Baer of the University of Oklahoma. That’s because masses in quantum theory are the result of contributions from many different particles involved in interactions—and the Higgs field, which gives other particles mass, racks up a lot of these interactions. But the Higgs mass isn’t huge, which requires an explanation. However, the broad framework of supersymmetry can accommodate even more massive SUSY particles, which may or may not be detectable using the LHC. In fact, if naturalness is abandoned, SUSY doesn’t provide an obvious mass scale at all, meaning SUSY particles might be out of range for discovery with any earthly particle collider. That point has made some critics queasy: If there’s no obvious mass scale at which colliders can hunt for SUSY, is the theory falsifiable? A related problem confronts dark matter researchers: Despite strong indirect evidence for a large amount of mass invisible to all forms of light, particle experiments have yet to find any dark matter particles. It could be that dark matter particles are just impossible to directly detect. A small but vocal group of researchers has argued that we need to consider alternative theories of gravity instead. In other words, specific models for dark matter can stand or fall, but the dark matter paradigm as a whole has withstood all tests so far. But as Slatyer points out, no alternative theory of gravity can explain all the phenomena that a simple dark matter model can, from the behavior of galaxies to the structure of the cosmic microwave background. Beyond falsifiability of dark matter or SUSY, physicists are motivated by more mundane concerns. “Even if these individual scenarios are in principle falsifiable, how much money would [it] take and how much time would it take?” Slatyer says. In other words, rather than try to demonstrate or rule out SUSY as a whole, physicists focus on particle experiments that can be performed within a certain number of budgetary cycles. It’s not romantic, but it’s true nevertheless. Is it science? Who decides? Historically, sometimes theories that seem untestable turn out to just need more time. For example, 19th century physicist Ludwig Boltzmann and colleagues showed they could explain many results in thermal physics and chemistry if everything were made up of “atoms”—what we call particles, atoms, and molecules today—governed by Newtonian physics. Since atoms were out of reach of experiments of the day, prominent philosophers of science argued that the atomic hypothesis was untestable in principle, and therefore unscientific. However, the atomists eventually won the day: J. J. Thompson demonstrated the existence of electrons, while Albert Einstein showed that water molecules could make grains of pollen dance on a pond’s surface. Atoms provide a case study for how falsifiability proved to be the wrong criterion. Many other cases are trickier. For instance, Einstein’s theory of general relativity is one of the best-tested theories in all of science. At the same time, it allows for physically unrealistic “universes,” such as a “rotating” cosmos where movement back and forth in time is possible, which are contradicted by all observations of the reality we inhabit. General relativity also makes predictions about things that are untestable by definition, like how particles move inside the event horizon of a black hole: No information about these trajectories can be determined by experiment. Yet no knowledgeable physicist or philosopher of science would argue that general relativity is unscientific. The success of the theory is due to enough of its predictions being testable. Another type of theory may be mostly untestable, but have important consequences. One such theory is cosmic inflation, which (among other things) explains why we don’t see isolated magnetic monopoles and why the universe is a nearly uniform temperature everywhere we look. The key property of inflation—the extremely rapid expansion of spacetime during a tiny split second after the Big Bang—cannot be tested directly. Cosmologists look for indirect evidence for inflation, but in the end it may be difficult or impossible to distinguish between different inflationary models, simply because scientists can’t get the data. Does that mean it isn’t scientific? On that note, Caltech cosmologist Sean M. Carroll argues that many very useful theories have both falsifiable and unfalsifiable predictions. Some aspects may be testable in principle, but not by any experiment or observation we can perform with existing technology. Many particle physics models fall into that category, but that doesn’t stop physicists from finding them useful. SUSY as a concept may not be falsifiable, but many specific models within the broad framework certainly are. All the evidence we have for the existence of dark matter is indirect, which won’t go away even if laboratory experiments never find dark matter particles. Physicists accept the concept of dark matter because it works. 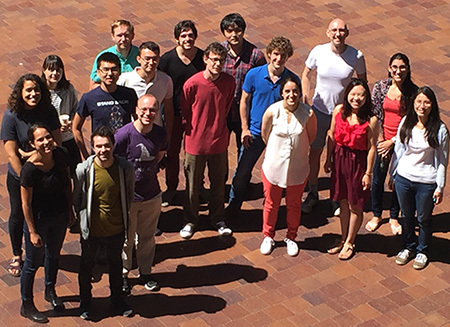 An international group of students participated in the 2016 Kavli Summer Program in Astrophysics at UC Santa Cruz. 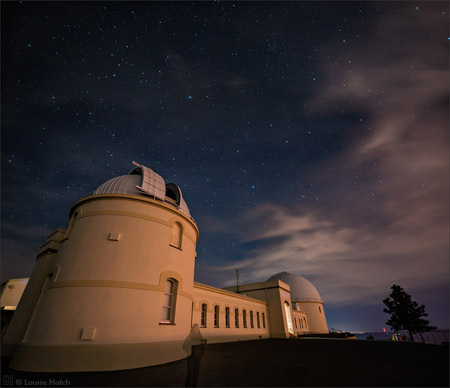 The 2019 Kavli Summer Program in Astrophysics at UC Santa Cruz will focus on “Machine Learning in the Era of Large Astronomical Surveys,” bringing together scientists and students from a broad range of backgrounds to learn about machine learning techniques and their applications in astronomy. The Kavli Summer Program in Astrophysics combines the concept of a long-term workshop with graduate student training through research projects. Up to 15 established faculty, 15 post-doctoral researchers, and 15 graduate students come from around the world to join local scientists at the host institution for the six-week program, which alternates between UC Santa Cruz and various institutions world-wide. The program begins with a one-week workshop on the topic of the year, after which the students are teamed with the senior participants and are expected to make significant progress on their selected project. Each year, the program tackles a different topic in astrophysics. This year’s topic addresses the challenges of big data in astronomy. Large astronomical surveys now collect unprecedented amounts of data, while large-scale computer simulations of astrophysical phenomena can also generate enormous datasets. To cope with this torrent of data, astronomers are adopting tools developed in the data science industry, such as machine learning and artificial intelligence. Prochaska is a co-director of the 2019 program, along with UCSC astronomers Alexie Leauthaud and Brant Robertson. Prochaska is also a co-founder of the Applied Artificial Intelligence Institute at UC Santa Cruz, one of the sponsors of the summer program. Pascale Garaud, professor of applied mathematics at UC Santa Cruz, started the program in 2010 as the International Summer Institute for Modeling in Astrophysics (ISIMA). The Kavli Foundation has been supporting the program since 2016. 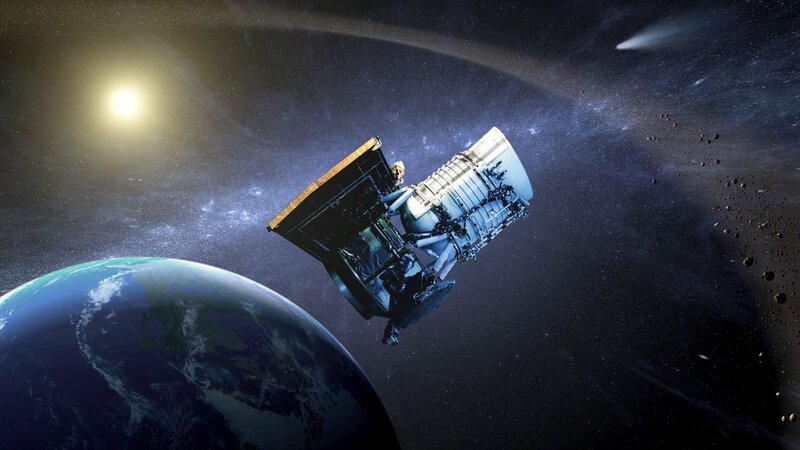 “The Kavli Foundation is pleased to support innovative projects, and this year’s focus on big data addresses an issue of growing importance to astronomy,” said Christopher Martin, senior science program officer for the Kavli Foundation. In Santa Cruz, the Kavli Summer Program in Astrophysics is associated with TASC (Theoretical Astrophysics at Santa Cruz), a multi-departmental research group of UCSC scientists from Applied Mathematics, Astronomy and Astrophysics, Earth and Planetary Sciences, and Physics. 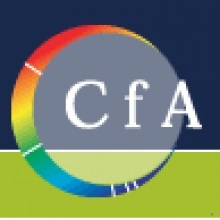 Additional support for the 2019 program is provided by the National Science Foundation, UC Santa Cruz, and the UCSC Applied Artificial Intelligence Institute. Imaging a black hole is no easy task. 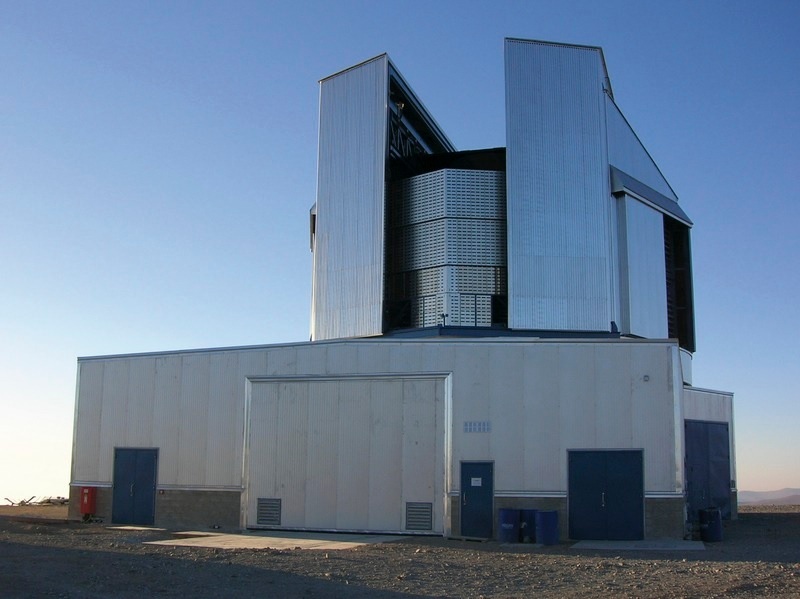 The Event Horizon Telescope (EHT) project involved over 200 scientists from around the world, and without their hard work, dedication, and imagination, such a feat would never have been possible. Three of these scientists talk about how it feels to be part of an international collaboration that has recently turned the seemingly-impossible into a reality. Sera Markoff is a member of the EHT Science Council, co-coordinator of the Multiwavelength Working Group, co-coordinator of Proposals Working Group and leads a research group that contributed to theoretical modelling and interpretation. Credit: ESO/BlackHoleCam /Radboud University/ Cristian Afker/Cafker Productions. Produced by: Cristian Afker/Cafker Productions /ESO. Roles in the EHT project: Member of the Science Council, co-coordinator of the Multiwavelength Working Group, co-coordinator of Proposals Working Group and leads a research group that contributed to theoretical modelling and interpretation. What has been the most exciting part of this project so far? Without a doubt, the most exciting part of the project so far was to make the big discovery — to show the world that black holes really exist, and to quite literally be able to gaze down into that sinkhole. I have been working on modeling black holes in one way or another for most of my career, and I think that one gets a bit blasé at some point, since we use the concept of black holes all the time without having ever actually seen one directly. To really “look it in the eye” is fascinating but also a bit maddening! 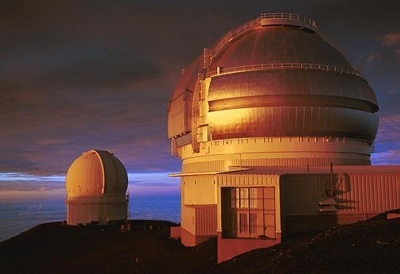 And now I dream of seeing what it looks like close up, without the distortions of a telescope in between! I want to understand how such a thing can be possible, when our understanding of physics at the moment is not complete and cannot yet explain gravity or black holes at a quantum level. I also found working with a big team focused on a single, major goal very exciting. There were so many researchers, particularly PhD and postdoctoral students who dedicated a huge amount of time to making this project a success, and I am very happy to see it pay off for them, since it will boost their careers massively. Heino Falcke, of Radboud University in the Netherlands, coined the term “black hole shadow” and was the scientists that originally came up with the idea of imaging a black hole using millimetre-wavelength Very Large Baseline Interferometry (VLBI). Heino is currently chair of the EHT science council and co-Principal Investigator of the European Research Council Synergy Grant BlackHoleCam that co-funded the EHT. Roles in the EHT project: Coiner of the term “black hole shadow” and proposer to try to image a black hole using millimetre-wavelength Very Large Baseline Interferometry (VLBI). Chair of the EHT science council and co-Principal Investigator (together with Luciano Rezzolla and Michael Kramer) of the European Research Council Synergy Grant BlackHoleCam that co-funded the EHT. How did it feel when you saw the first image of the black hole? Twenty-five years ago, back in the pioneering days of millimetre-wavelength VLBI, I was doing my PhD at the Max-Planck Institute in Bonn. Modeling the black hole at the centre of the Milky Way, I realised that light of millimetre-wavelength or below would be emitted from close to the black hole’s event horizon. Alas, black holes are surprisingly tiny, so the event horizon seemed too small to see, even with an Earth-sized telescope. But then, one lonely afternoon in the library, I stumbled across an article that described how a black hole would look much bigger when illuminated from behind. I was electrified. I hadn’t considered gravitational lensing — that a black hole could actually magnify itself due to the bending of light by its own mass. This would make it look much bigger! I worked with two other scientists, Eric Agol and Fulvio Melia, to calculate what a black hole would look like if it was engulfed by a glowing transparent region and, lo and behold, we found that a dark area would appear, surrounded by a bright ring that would be just large enough to be detected. We called the dark area the “shadow of the black hole” and claimed it could be detected within the following ten years! Well, not quite. But 19 years later my own PhD student, Sara Issaoun, showed me the first raw data from the EHT project. The plot was a complicated and incomplete one-dimensional mathematical transformation of an image. But doing the mathematical inversion in my head, as we have all learned to do during this project, my heart started beating faster: this could be a ring! Weeks later, we could finally make the actual image and there it was — the shadow inside a ring. All these years after predicting that it would be possible to image a black hole in this way, this huge collaboration of scientists had finally done so! For an hour I felt like I was hovering above the ground, but then it hit me that we still had many rough months to go before we could be certain. I sent up a brief “thank you” prayer to heaven and continued the day with a smile on my face. Sara Issaoun, of Radboud University in the Netherlands observed using one of the eight EHT telescopes, the Submillimeter Telescope (SMT). 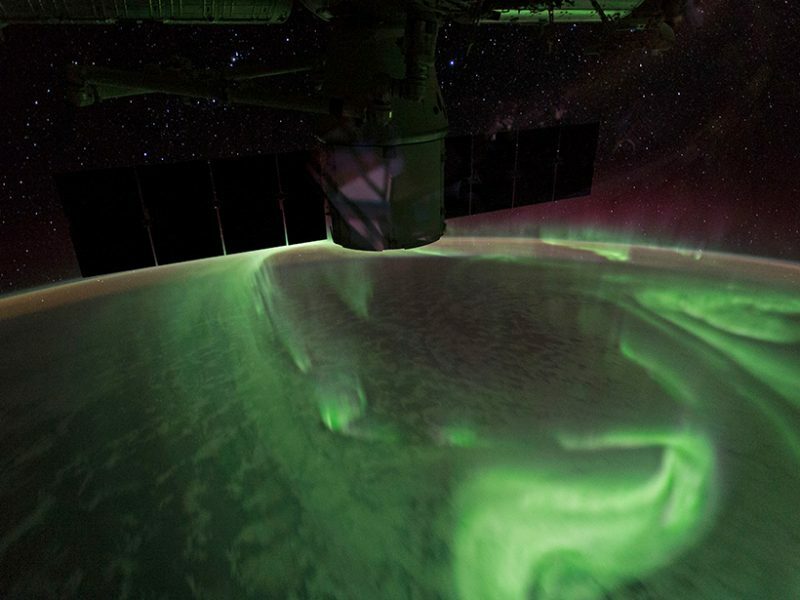 Sara also contributed to data processing and calibration, as well as the imaging efforts. Describe some of the emotions you went through whilst getting to this result. Although I’ve gone through many emotions during this project, the most common is probably exhaustion! During our 2017 observing campaign at the SMT in Arizona, I was excited to be carrying out observations, hearing the equipment roar as blinking green lights indicated the successful collection of data. And the weather was excellent, meaning that we could observe on multiple days in a row. The downside to this? Back-to-back 16 hour observing shifts, with preparation time in between, and very, very little sleep. Combined with the high altitude, this made it an exhausting expedition. But then I saw the messages rolling in from Chile, the South Pole, Spain, Mexico and Hawaii, which made me feel part of a truly historic moment; all these telescopes and people, all staring towards the centre of Messier 87 — just one galaxy in amongst several trillion that exist in the Universe. After we packed up our recordings and drove down the mountain, it took a few months before we got the results of our observations. But when we heard that the telescope had worked well, and that we had worked well, I felt extreme relief. But it also meant that our data was ready for calibration, which involved a lot more hard work, exhaustion and stress. I will never forget the day when I first saw the fully calibrated data; the quality was so high that it took only seconds for me to understand that this could lead to a groundbreaking image. Four imaging teams worked separately to create the final image, and I was part of one of these teams. A mere few minutes after I started processing the data, I saw the ring structure appear. It was jaw-dropping, even thrilling. Six weeks of hard work passed, during which we perfected our image and improved our understanding of the data, before all the imaging teams met at a workshop in July 2018. We were all extremely anxious to see if everyone had seen the same structure. Once again, it turned out that everyone saw the same thing, even though we had all been using different software. This was real. This was it. The room filled with applause and laughter and general awe at being part of this incredible project. We were fully aware of the huge amount of work ahead of us, to understand what we were seeing and convince the rest of the community, but that moment was really special.